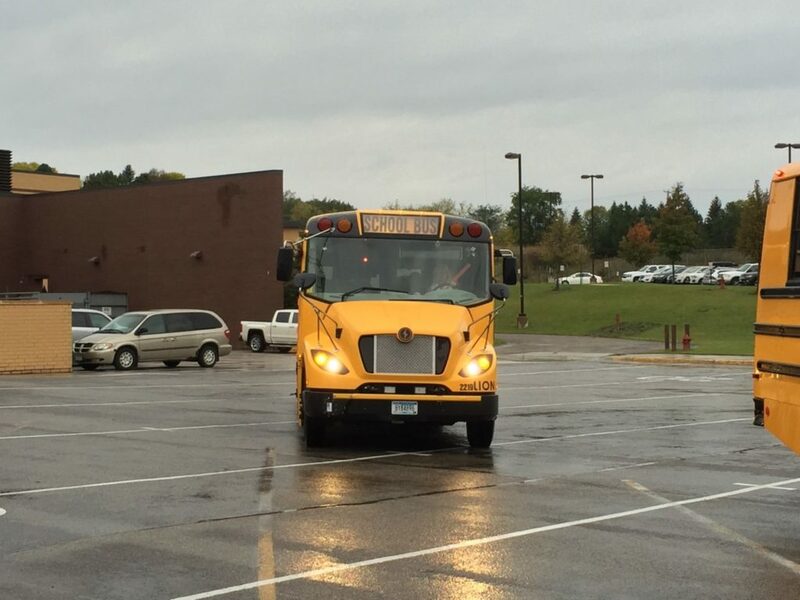 The first all-electric school bus in Minnesota, operated by Schmitty & Sons, recently began transporting students to and from schools in the Lakeville Area Public Schools. The bus has excellent safety features, no diesel engine exhaust and provides a smooth, quiet ride since it is powered by an electric motor. It plays musical tones when it approaches a stop to alert students that the bus is approaching. The bus is equipped with five batteries and can go up to 100 miles before it needs a charge, plenty of range since the average school bus route is 66 miles. Schmitty & Sons, along with Dakota Electric Association and Great River Energy – Dakota Electricís wholesale powers supplier – have made the bus possible by sharing the extra cost of this new technology. The three companies are using this new bus as an opportunity to promote and educate the public on the value of electric vehicle technology. The goal is to demonstrate electric school bus performance in a cold weather climate and on longer suburban and rural routes. The companies will document the economics of the electric school bus, including overall energy and maintenance cost savings and then calculate the emission reductions. It is estimated that the electric bus will save Schmitty & Sons about $12,000 annually on operation and maintenance costs over the cost of a standard diesel bus. The batteries will be charged overnight on Dakota Electricís Revolt program, which provides 100 percent renewable wind energy as the power source. Lakeville South students depart Schmitty & Sons new eLion electric school bus Oct. 2, 2017, as All Saints Elementary School students prepare to board the shuttle. The electric bus is capable of traveling 100 miles on a single charge. It meets or exceeds Minnesota safety standards. “This collaboration allows us to pilot cutting-edge electric bus technology and lay the foundation for what we expect will be an excellent, energy-efficient school bus option,” said Mike Fosse, vice president of Energy and Member Services for Dakota Electric. A customer-owned, nonprofit utility since 1937, Dakota Electric Association provides electricity to more than 105,000 members throughout Dakota County and portions of Goodhue, Rice and Scott counties. Dakota Electric, a Touchstone Energy Partner, serves its member-owners with integrity, accountability, innovation and commitment to community.